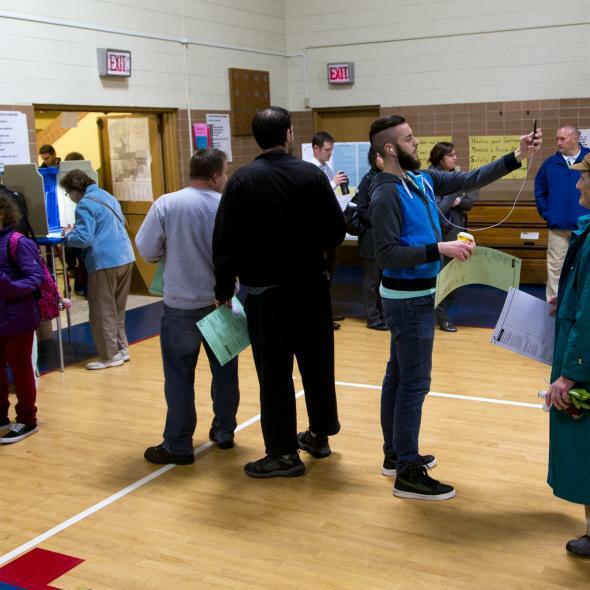 New Hampshire “ballot selfie” ban overturned by federal court. This legal and democratic pioneer takes a selfie as he waits in line to cast his vote in Wisconsin in 2014. A federal judge overturned a New Hampshire law banning so-called “ballot selfies” on Tuesday because it violated individuals’ right to free speech. The law in question went into effect in Sept. 2014 and made it illegal for voters to share an image of a marked ballot on social media with a fine of up to $1,000 as punishment. The logic behind the ban was that if voters could prove they had voted one way or another it could open up the possibility of voter coercion and vote selling. The Granite State lawmakers’ thinking seems a bit far-fetched and U.S. District Court Judge Paul Barbadoro wasn’t buying it. “During arguments in June, lawyers for the state acknowledged there are no known cases of vote-buying or coercion in New Hampshire,” according to New Hampshire’s WMUR. “The American Civil Liberties Union-New Hampshire brought the case on behalf of three people who were investigated after posting ballot photos last year, including one voter who said he cast a ballot for his dead dog because he didn’t like any of the candidates.” Barbadoro pointed out that it was pretty unlikely someone would openly admit to voter fraud on social media and camera phones have been around long enough that if people were going to engage in ballot trafficking then the state should be able to come up with at least a single instance of coercion.